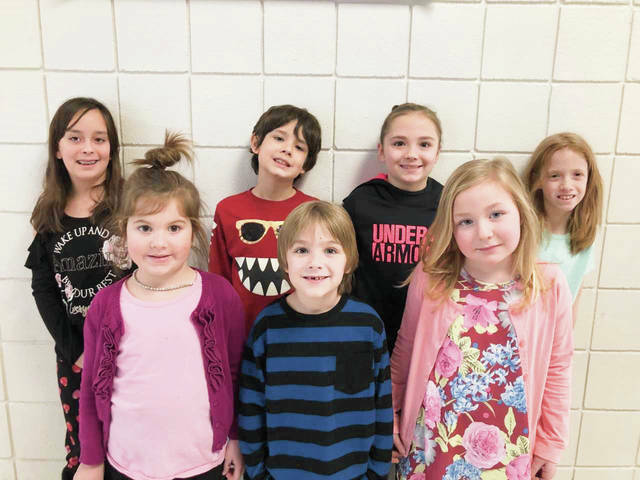 Provided photo Springcreek Primary School’s Students of the Month for January are, front, left to right: Zariah Bowers, Chance Hamilton, Abigail Carnahan Lowe; back, left to right: Aria Martin, Carter Hill, Kallie Anderson. Springcreek Primary School’s Students of the Month for January are, front, left to right: Zariah Bowers, Chance Hamilton, Abigail Carnahan Lowe; back, left to right: Aria Martin, Carter Hill, Kallie Anderson. https://www.dailycall.com/wp-content/uploads/sites/30/2019/01/web1_Springcreek_-January_cmyk.jpgProvided photo Springcreek Primary School’s Students of the Month for January are, front, left to right: Zariah Bowers, Chance Hamilton, Abigail Carnahan Lowe; back, left to right: Aria Martin, Carter Hill, Kallie Anderson.